Attorney Arley Gill says it’s “an honour’’ to be asked to serve Grenada at a regional ambassadorial level. 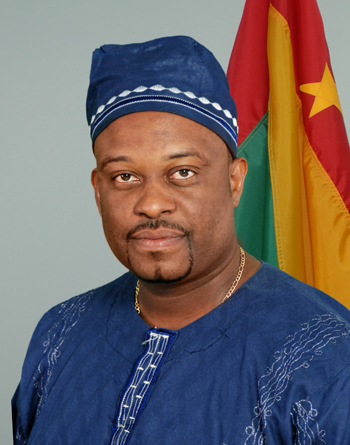 Government minister Oliver Joseph told reporters Tuesday that Gill has been nominated as ambassador to the Caribbean Community (Caricom). The process requires the acceptance and confirmation of the ambassador-nominee by the Guyana-based Caricom Secretariat before becoming effective. “That’s all we’re waiting for now – for Caricom to respond,’’ said Joseph, Minister of Trade and Caricom Affairs. Gill, who also must visit Guyana to present his instruments of appointment to Caricom Secretary General, Irwin LaRocque, is a former Grenada government minister, serving in the administration of former Prime Minister Tillman Thomas. He was minister responsible for culture, information and ICT, and is generally regarded as the best culture minister the country has ever seen. It was under his stewardship that the Spicemas Corporation was set up; a Tradition Masquerade was held in St Mark; the Aunty Tek Spice Word Festival was established; and St Andrew became home to an annual 6 February independence anniversary event. Gill, who has a master’s degree in international maritime law, was also a member of Grenada’s maritime boundary commission when the country, in 2010, negotiated and signed an oil and gas boundary delimitation agreement with Trinidad and Tobago. The attorney and ambassador-nominee, who has just completed a second master’s degree in business administration, returned to Grenada last year after serving as a magistrate in Dominica. Gill’s responsibilities, if confirmed as ambassador, will include providing strategic advice, recommendations and support to Caricom’s Council of Ministers. He will replace agriculture economist, Dr Patrick Antoine, as Caricom ambassador. “It’s always an honour to serve one’s country,’’ said Gill, who also is a prolific writer on local, regional and international politics, as well as on law, culture, sports and other general topics of interest.